One of my favourite juices and so quick and easy to make. 2 apples and a thumb sized piece of ginger is all you need for a zingy tasty pick me up. 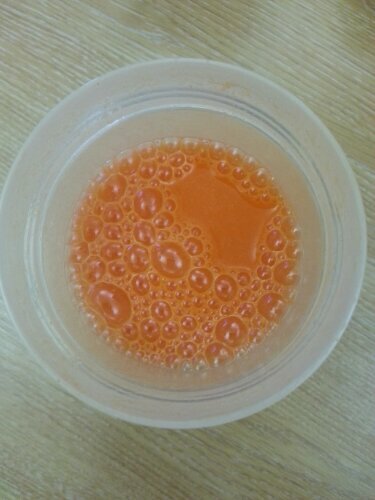 Not the most appetising looking juice but it tastes quite nice and is super healthy. I think the key to healthy juicing is to use small amounts of ingredients you don’t particularly like (but that are really healthy) and mask their flavour with tastier fruit such as apple and orange. This juice is made using 3 clementines, 1 apple, a small piece of ginger, a quarter stick of celery and a couple of inches of cucumber. This helped to use up leftover ingredients in the fridge (hence the name) and the celery and cucumber are incredibly good for flushing out toxins and improving your skin (something I desperately need!) Ginger is a natural antibiotic and adds real zing to cover up the not so pleasant celery taste! Unfortunately this combination does result in an unattractive off-green colour, but if you close your eyes it’s actually a pleasant flavour! The perfect wake up drink – juice 5 clementines, half a lemon and a thumb-sized piece of ginger. Pour over ice and enjoy!